Soon, readers will be able to unite their love for the Great Bard with today’s zombie obsession. 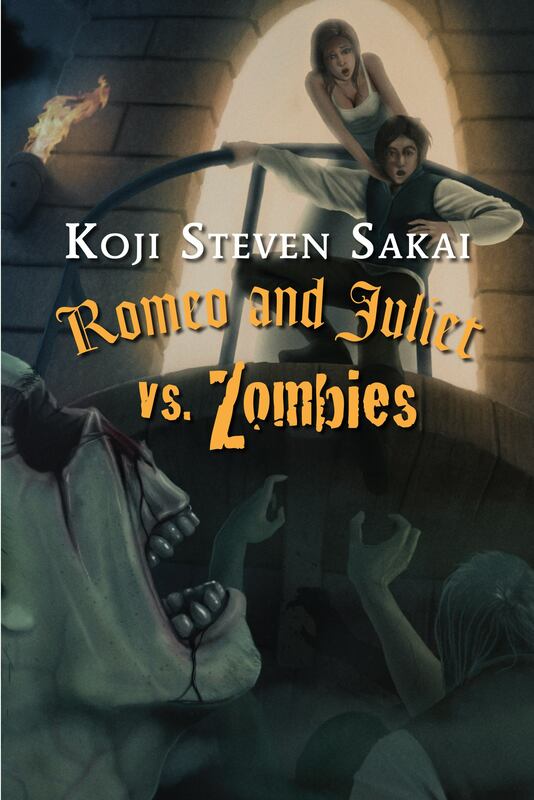 Scheduled for an October release, veteran screenwriter Koji Steven Sakai’s “Romeo & Juliet vs. Zombies” turns the Shakespeare classic on its head, switching up the events we thought we knew. Before true love has a chance to grow, Romeo and Juliet must fight to overcome hordes of zombies that include Tybalt, Mercutio, and even Juliet’s nurse. Sakai’s version of the beloved tale forces Romeo to fight for Juliet’s respect — even if that means picking up a sword that (gulp) could actually hurt someone. And who started the whole mess in the first place? None other than Friar Lawrence, desperate to keep his deceased lady love talking and walking. This exciting new mashup falls under Zharmae Publishing Press’ fantasy imprint Luthando Coeur and will soon be available online through major online book retailers and the company’s online store. Visit the “Romeo & Juliet vs. Zombies” page on Facebook. Sakai has written four feature films that have been produced. His feature-length screenplay, “Romeo, Juliet, & Rosaline,” was optioned by Amazon Studios. “Romeo & Juliet vs. Zombies” is his debut novel. He lives with his toddler, wife, and dog in South Pasadena. The Zharmae Publishing Press (TZPP) is a Pacific Northwest-based independent publisher, dedicated to producing the best genre fiction from around the universe. TZPP is devoted to literary works of depth and detail as well as the broader knowledge and exchange of ideals that can be conveyed from the reading and analysis of fiction. Created with the notion that publishing can and should be hip, youthful and accessible; as well as focused on author development with regards to both the art and science of writing, TZPP is the result of this ongoing effort. Luthando Coeur is intent upon building an expanded role for fantasy, publishing in the range of fantasy subgenres. It is inclusive, although good writing is one thing that any work will offer.